Inspiration for cooking can come from anywhere. The back of a can of diced tomatoes or black beans. In a newspaper. In a magazine. In a direct mailer. Or online. 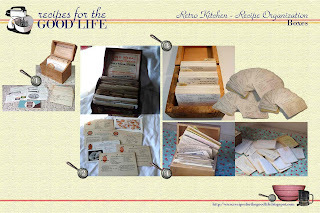 The women in my family - gram, mom, and aunt - collect their recipes on 3x5.25 index cards and keep them neatly organized in metal recipe boxes. I'm less organized than they are. 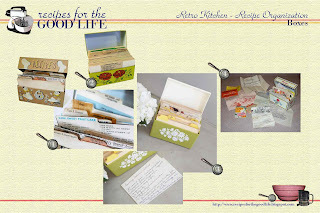 I have clipped recipes from magazines and newspapers and filed them in envelopes or manila folders. I have more stuck haphazardly into the pages of an old photo album. (I did start out in with my recipes in a metal recipe box. I stashed it in a storage unit when I was in between apartment leases, and unfortunately when the storage unit was robbed I lost it.) Electronic recipes are scattered across various inboxes and more recently here on this blog. 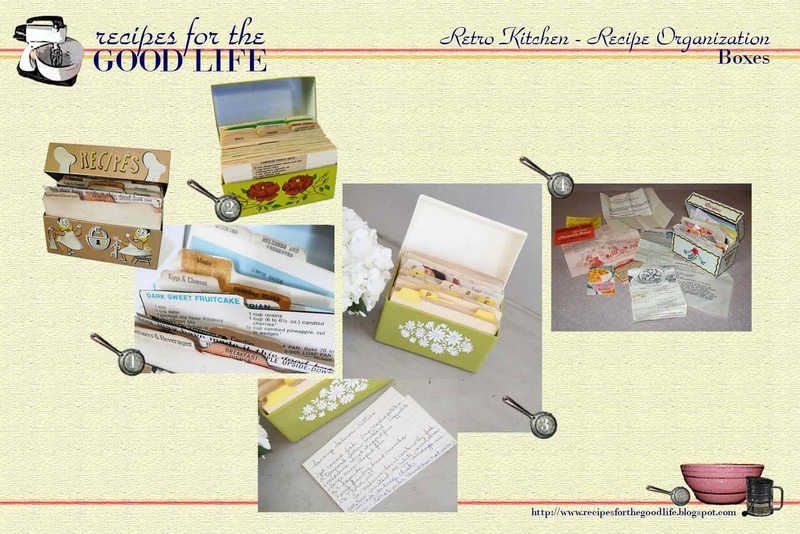 How do you organize your found (and created) recipes? I'm fascinated by what people chose to clip as well as how they modified a recipe or who they cooked for. I love finding handwritten notes in cookbooks. 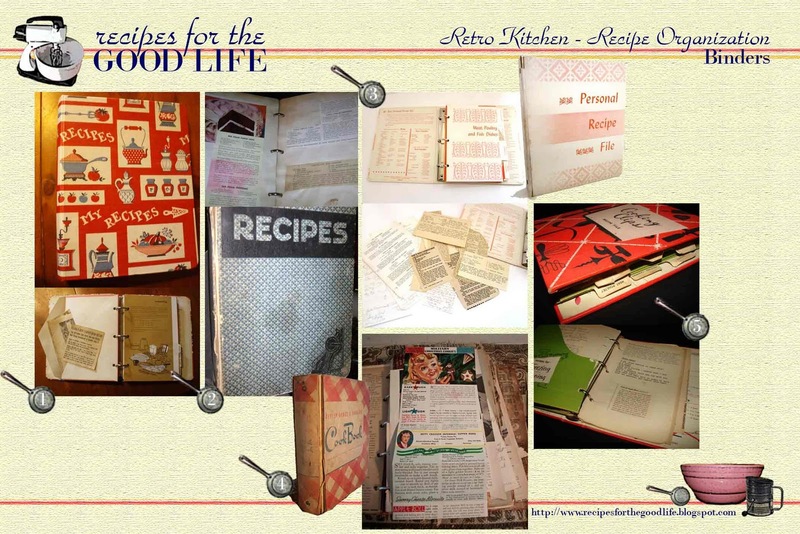 Looking to start a collection of vintage recipes? Here are some options I found on Etsy. 1. Carol Mai, $42; 2. Gryphon Vintage, $125; 3. Bunny Rabbit Vintage, $145 for complete recipe file: $45 for recipe box, $40 for Beef recipes, $30 for Chicken recipes, and $30 for Pork recipes; 4. Elsephanie, $5. 1. Industrial Relic, $24; 2. 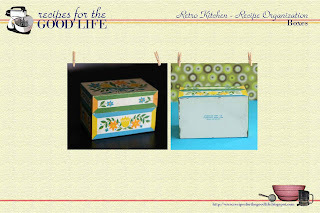 Foresttina Vintage, $9 (I have a soft spot for this collection as it's the same metal recipe box I once had); 3. Lucy and Ellen, $34; 4. TKFindz, $12.99. 1. Disco Queen Highness, $13.95; 2. JulieAnnaNicole, $24; 3. Lady Libertine Vintage, $8.75; 4. Bunny Rabbit Vintage, $75; 5. Cookbook Addict, $45. In case you're curious, here are my searches for vintage recipes: "handwritten recipes" "recipe box" "cooking clips" "recipe clipping book" "clipped recipes" "recipe binder."